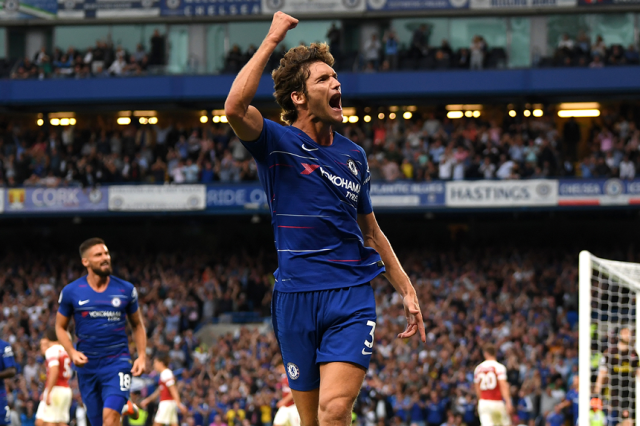 Chelsea 3-2 Arsenal: Better than Huddersfield but by no means the finished article. 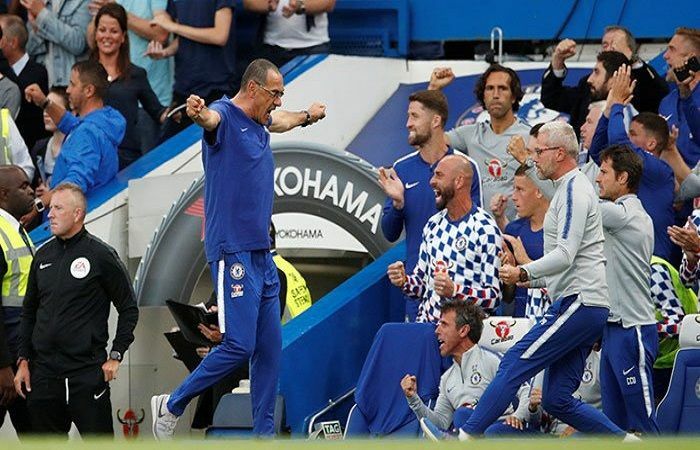 Us: Sarri reckons it will take four weeks to get the players up to speed on the way he wants to play. 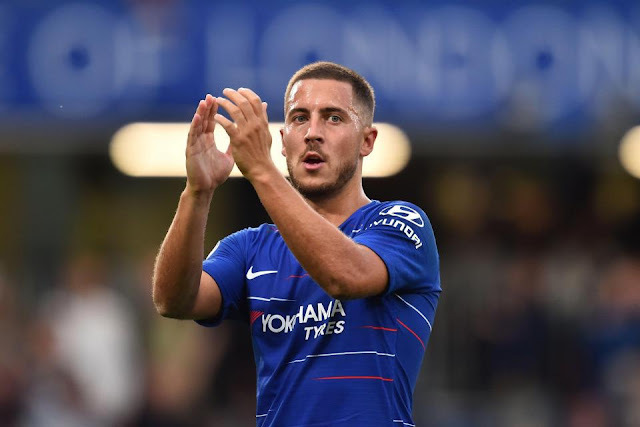 With that in mind he went for the same line up as last week, but we all hoped that Hazard would be fit for more than the 15/20 minutes he played at Huddersfield. Nice sub to bring on. After a two minute flurry after half time from them, normal service was somewhat resumed as far as all the possession was concerned, but we remained f*cking terrifying at the back and lacking a decisive force going forward. I wanted Hazard on 60. I know he’s not a robot like the Kante Twins and he’s only been back 12 days but please let him be ready to do half an hour. The jokers behind were rolling out the commentator cliches. The next goal is crucial. Whoever scores next could win the game. Still we couldn’t make it happen, despite pinning them in their half. Barkley came close on 58, and then huzzah - as the clock reached 60 on came Eden to rapturous applause. Willian went off, as did our adopted Scouser in favour of Kovacic. And my, what a difference the two made. We looked immediately stronger - they weren't seeing any of the ball. They hooked Ozil, who I hadn’t noticed at all until that point. As he plodded off at the speed of Allardyce after a Sunday afternoon session at a local carvery, it was still the fastest anyone had seen him move. We were desperately in search of a winner now. Hazard sent it across the face of goal on 69. They hadn’t been out of their half for fifteen minutes at this point. He was brought down cynically on 72 on the edge of the box. The foul deserved a card. Luiz smashed it. but Cech was up to the save. Were we going to labour our way to a draw having been two up? Giroud came on for Morata with fifteen minutes to spare, just before Kepa spilled the ball but atoned for his clumsiness by flinging himself face first in to reclaim it. Kante headed over on 77 before finally, with less than ten minutes to go, Alonso put away the winner. Boom. We saw nothing of it but a flailing of arms and legs and the ball bobble over the line. We waited a moment to see if the Matthew Harding were celebrating, then the Shed went bonkers. Any chance they might have had of coming good seemed to have disappeared with our double substitution. Eden is Eden, but Kovacic looked good. A similar build to our number 10, he also has the same gait, the same low centre of gravity and its twice as confusing when you've had gin and he’s also wearing Eden’s old number. By now Pesto was playing the cramp card. Good boy. He was on his feet again soon afterwards to put in a brutal tackle, even managing to win the throw in. Apart form the twenty minute interlude where we were inexplicably sh*t, he was a boss today. Also, any concerns about Alonso playing a more traditional left back role? Not valid against Arsenal. We could have had one more when Kovacic dinked the ball over to Alonso on 86, but Cech’s save was stunning. A deceptive one from them on 89 bounced onto the top of the net, but we were safe. Thank f*ck. Refwatch: Atkinson - barely noticed him. Apart from to laugh at his bed hair. Hurrah. So: Better than the Huddersfield game going forward but as evident by the twenty minute clusterf*ck, FUBAR section in the middle, by no means the finished article. They could have been 4-2 up at half time if they weren’t morons when it came to shooting in the six yard box, but I suppose equally by the end of it, Cech had had to pull of at least three super saves to keep our tally down. One conundrum - Kante isn’t there to save the day if he’s up the pitch. I expect this at the moment, good progress interspersed with mad lapses as everyone adapts to doing something completely different. It didn’t do us any harm today. In fact, tonight we’re top of the league, and we have condemned Arsenal to 17th. Mwhahahahaha. Banana skin dodged. Just. I’ll take it, in the hope that Sarri will analyse the sh*t out of this in the coming week and we’ll have moved on again by the time we have to go to Newcastle. 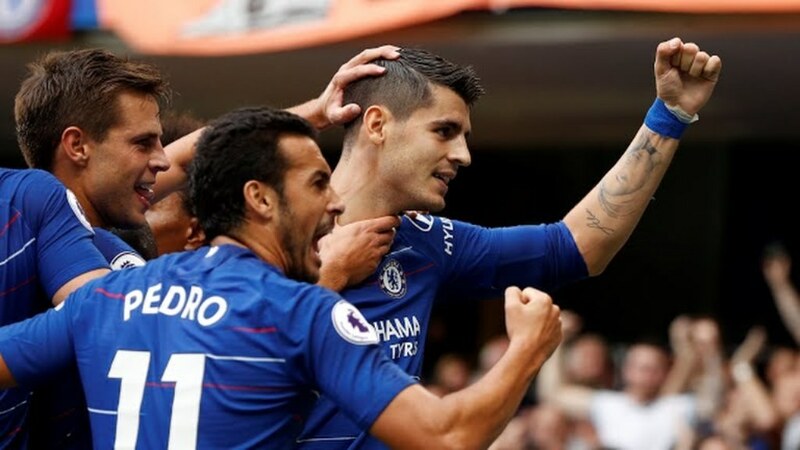 Match report written by Alex Churchill - A Girl Who Likes Balls Chelsea Blog.